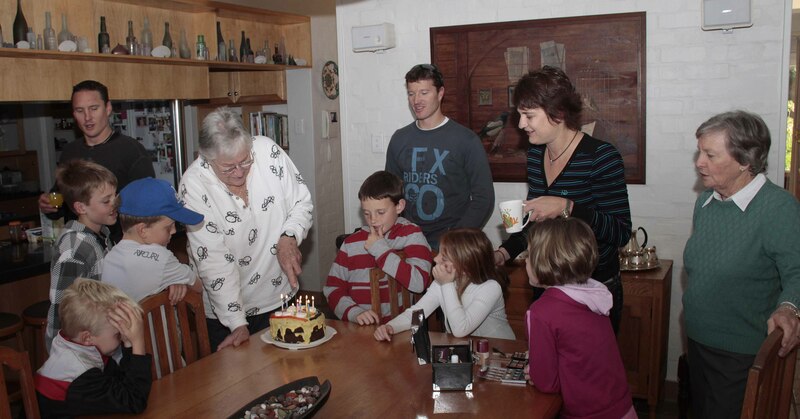 It was Gill’s birthday on Sunday and the boys and their families all decided to celebrate it by coming to Hermanus for the weekend. We were delighted to have everybody here and the grandchildren certainly enjoyed getting together. Michael, Nicky, Travis and Robyn arrived on Friday evening from Knysna, whilst the Cape Town brigade only pitched on Saturday, having had sporting activities to attend on Friday and Saturday. We had the birthday dinner (sumptuous food) on Saturday night and everybody contributed. The cake, which Michael made on Saturday, was the centerpiece for the singing and candles on Sunday morning. The Knysna contingent had to leave after lunch, whilst the rest stayed on a bit later, allowing for a walk in Fernkloof. We really enjoy walking with the grandchildren and look forward to the day when even the little ones will become keen hikers. Now I must set about replenishing the wine cellar! !